£100 deposit secures booking (non refundable . Cleared funds by bank transfer, cheque 1 week before arrival for remainder. 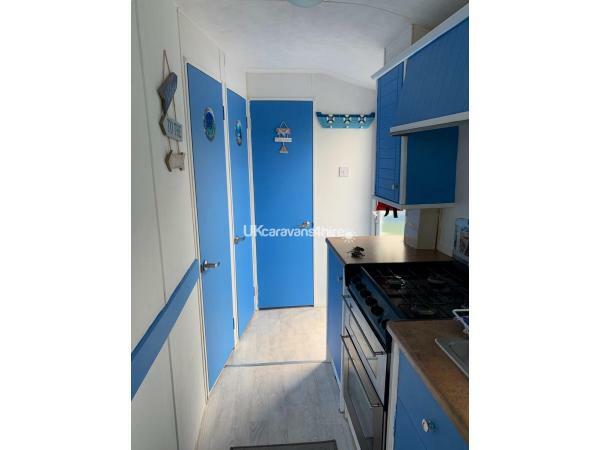 Trudy's caravan is absolutely lovely and is definitely the best positioned on the park with the best view! 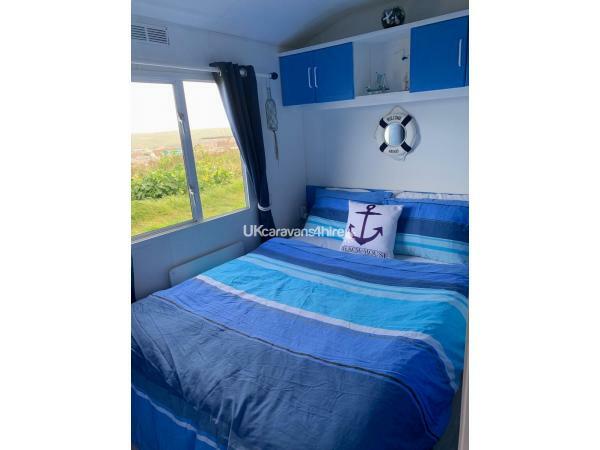 You can sit in bed with a cup of tea and look out over the ocean, perfect! 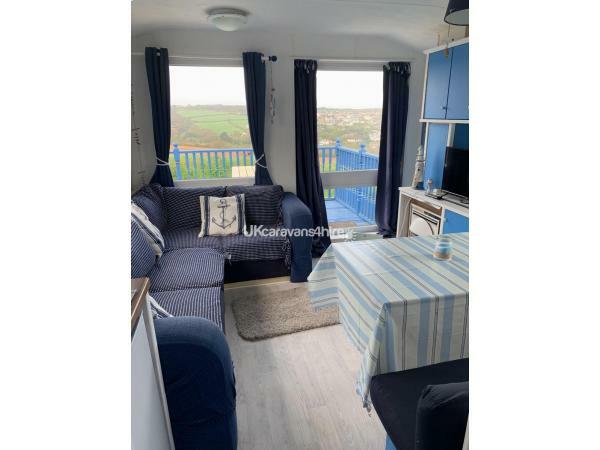 The caravan is cosy and equipped with everything you need for a break by the sea and it is just a short walk into town and to the beach. Trudy answered all our questions quickly, made sure we were settled and even called during the week to check everything was still going well. As an extra surprise she even allowed us to stay an extra night free of charge as no-one was booked in for the following weekend. We loved it and will definitely be booking to come again! We are a family of four kids are 12 and 8 years, we had a lovely stay at the caravan. The interior was so cute and the views very fabulous. 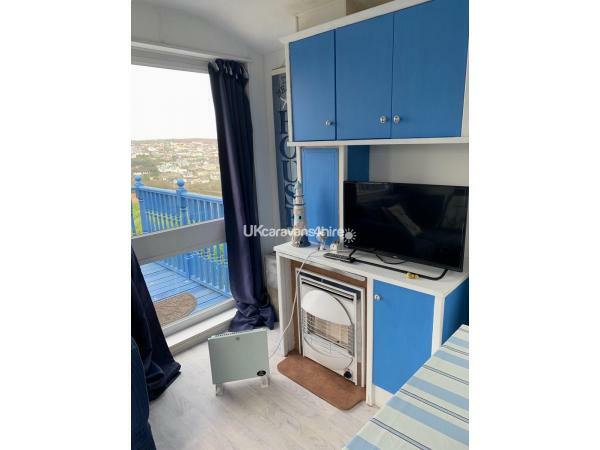 Great location,10mins walks to the town and beach and Perranporth is a fabulous town very dog friendly (we took our two dogs also). Trudy was so helpful and always on the end of the phone if we had any questions. Would definitely recommend. My 14 year-old son and I had a brilliant stay in Trudy's caravan in August. We loved the view from the deck and the fact that we could walk to the beach every day to go surfing. 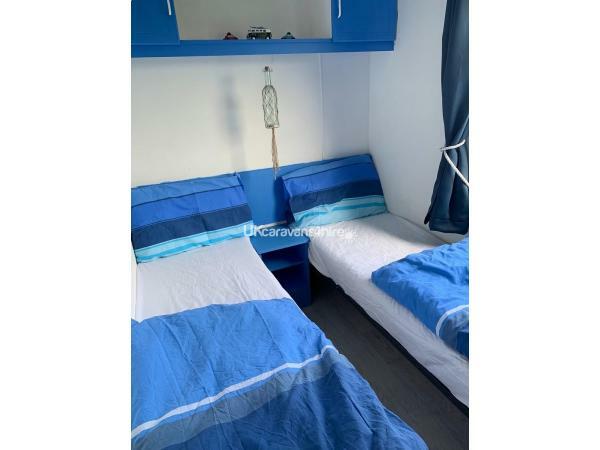 The caravan is super clean, well-equipped and everything worked as it should. It's a very quiet spot and we both slept like logs every night. Trudy was very helpful, and the cold beers on arrival were much appreciated! 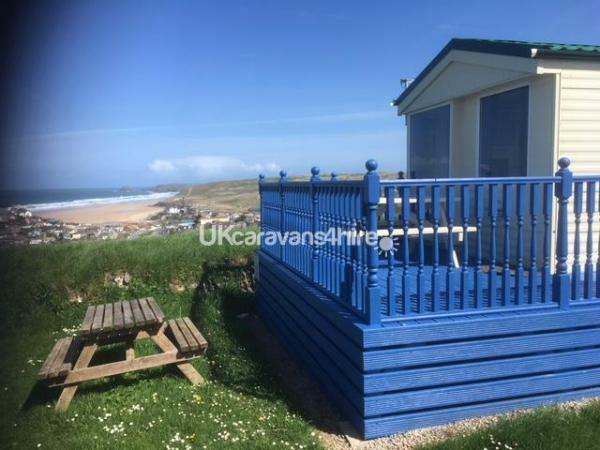 This is a lovely caravan with great views over perranporth and fields, we thoroughly enjoyed our stay in this home from home, it was quiet as away from the road too and has a usable sized balcony to sit at and watch glorious sunsets, we met Trudy on our last day who is lovely and very helpful, would highly recommend a stay here, doggy friendly too. Trudy even managed to organise lovely sunny weather for us! We shall return. 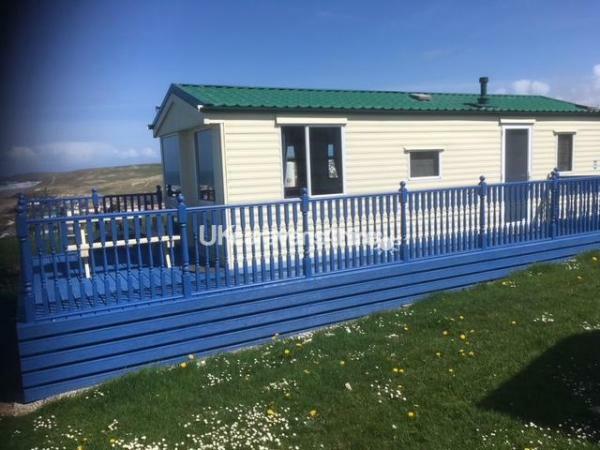 I am delighted you had a relaxing holiday,and you enjoyed the caravan And especially the views. (looked like pooch was having fun in the field). Good luck with everything.im just a phone call away,if you want to Take time out and chill out. 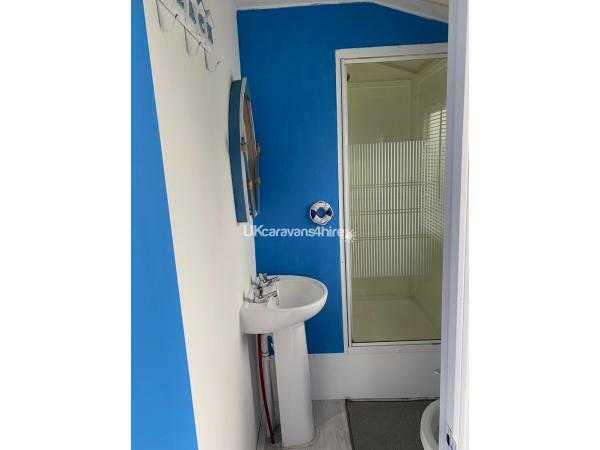 We stayed in this caravan 2 times already and all were lovely. 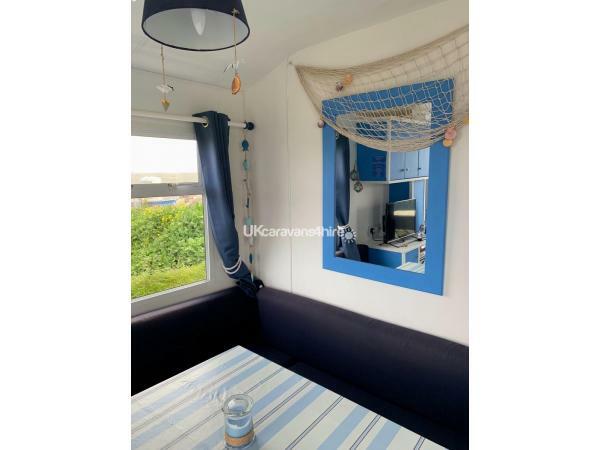 It's really beautiful inside (photos doesn't do the justice) really cosy with beautiful views to sea from every window. 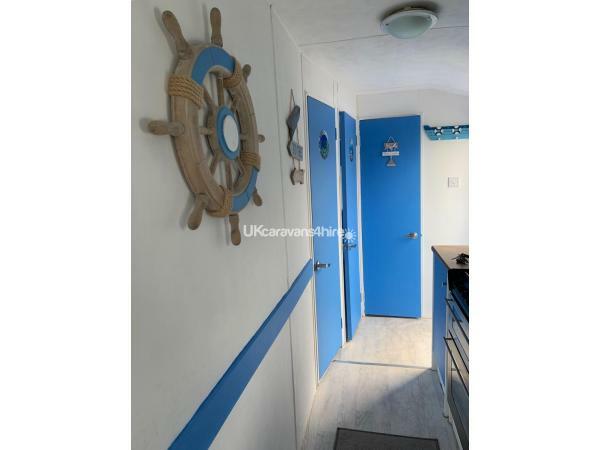 The best caravan from all in this caravan park as it's last in the end and all view is just for you! Really think we will come back again as it was breath taking holiday for our family and dog. Owner Trudy is really lovely lady and will go above to make stay perfect (loved little treats on the first day). Will deffo recommend to go and visit this caravan. Thankyou so much for your kind words. A lovely family.i look forward to welcoming You back in the near future.